LIVE-SAVING SURGERY AND SUSTAINABLE CARE MENTORSHIP. Financial constraints are a major factor limiting access to surgical care in Western Kenya. Many hospitals lack even the most basic surgical supplies, and not enough trained surgeons and surgical staff are available. AMPATH is responding to these challenges with cost-effective, high-impact ways to provide quality surgical care to those who need it most. And more than meeting today’s needs, we’re helping train tomorrow’s surgical leaders through research, training, and hands-on mentorship. Together with Moi University otolaryngologists, AMPATH provides medical care for numerous patients with disorders of the ears, nose, throat and head and neck – disorders that drastically effect quality of life. Recently, we’ve expanded to include patients with congenital and traumatic disfigurements such as cleft lips and palates, tumors, and goiters. Having the right tools is critical when it comes to surgery care. That’s why we’ve helped our partners at Moi University hospitals secure critical equipment such as ventilators, anesthesia monitors, and ICU monitors to elevate and modernize surgical care. We’ve also helped train and mentor recovery room nurses, critical care nurses, anesthesiologists, anesthetists, and ancillary personnel. Orthopedic injuries can often have a waterfall effect on a patient’s health, especially in urban and rural areas in Africa, where mobility means everything to livelihood. A robust collaborative group of orthopedic surgeons from both Moi University and Indiana University work together to intervene and repair orthopedic injuries, so patients can return to their daily lives. Sharing expertise and mentorship is at the heart of our surgery programs in Kenya. 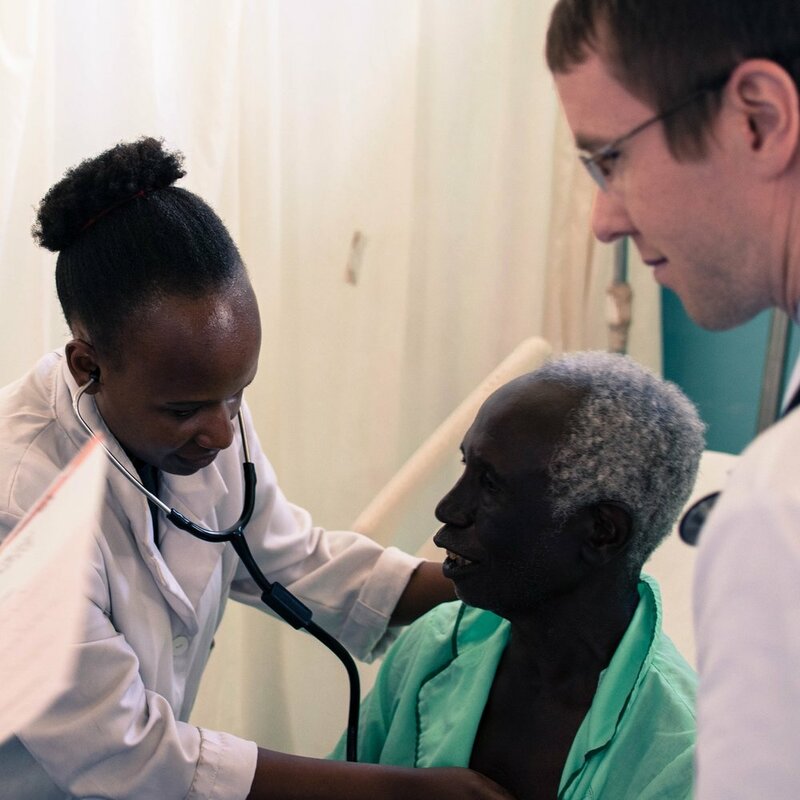 Together, Moi University students and Indiana University students train in internationally recognized programs that cover trauma, life support, critical care, anesthesiology, recovery care, and more.